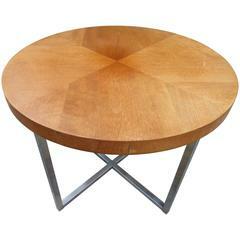 Simple, iconic Milo Baughman style side table. 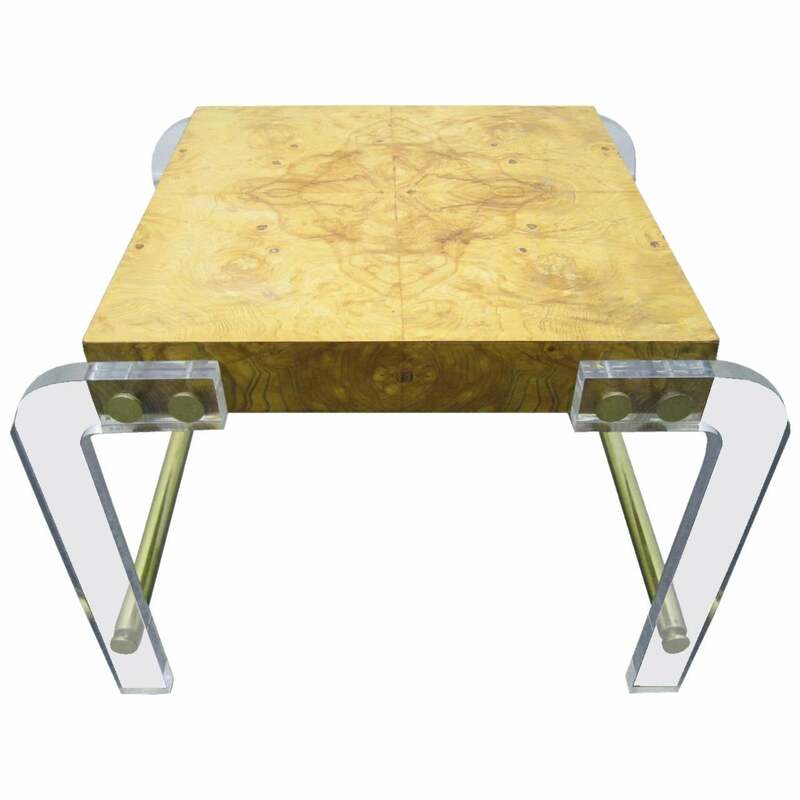 Arched Lucite legs are attached to the double book matched olive ash burl slab top with polished brass disks. 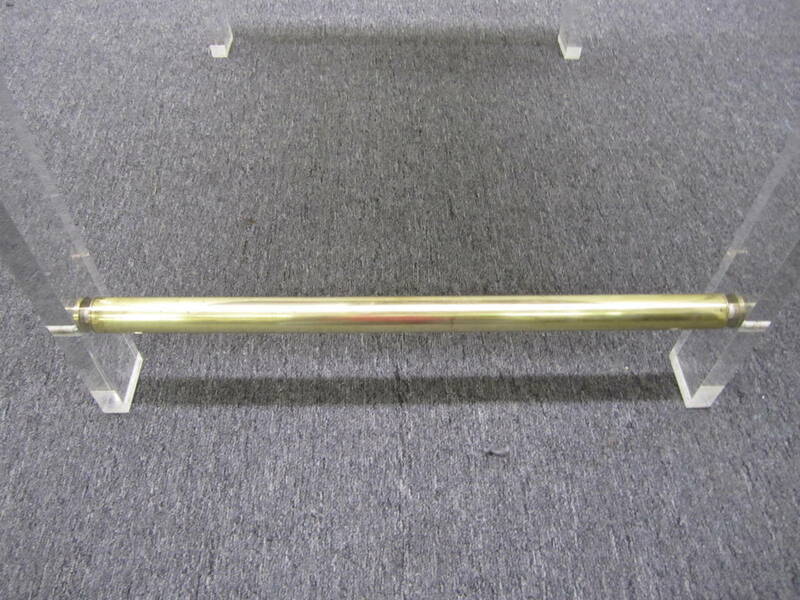 Brass stretchers at base. 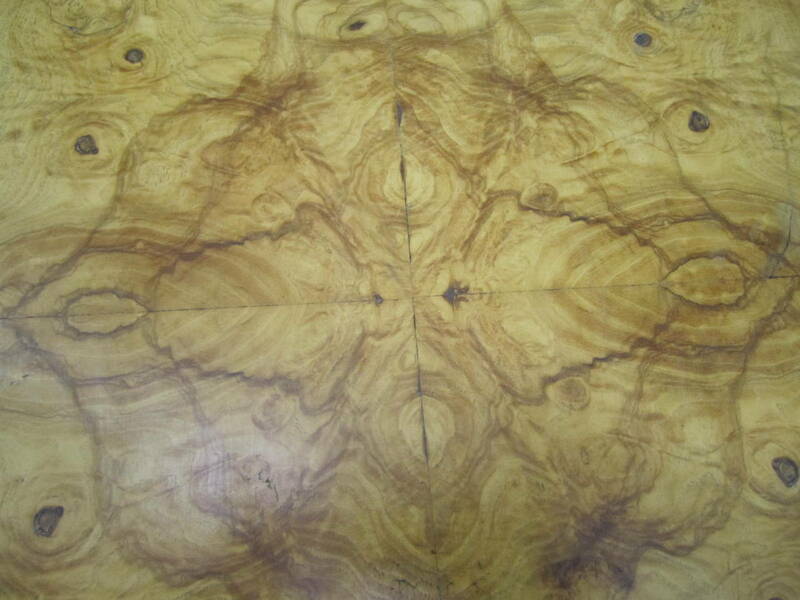 This lovely table is in very nice vintage condition. The top looks great with only some light wear. 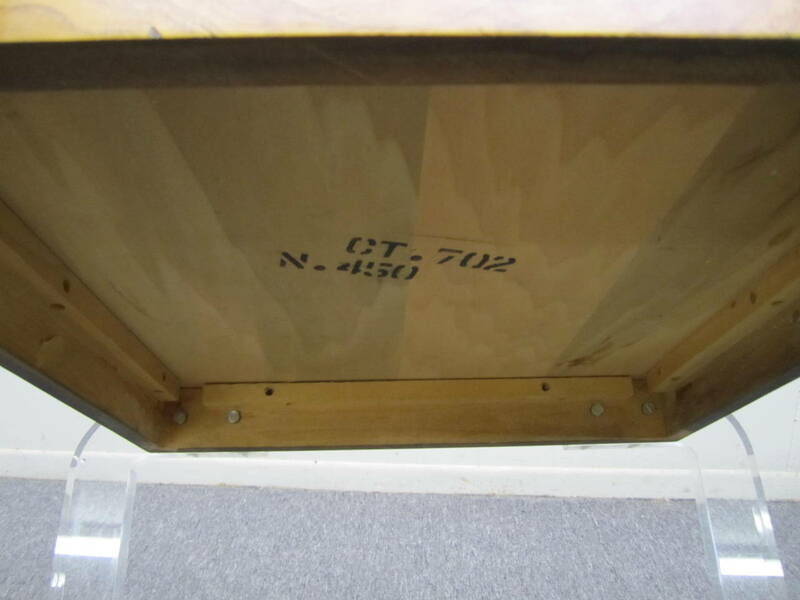 Thick lucite legs are clear and free from crazing-some light scuffs and scratches. 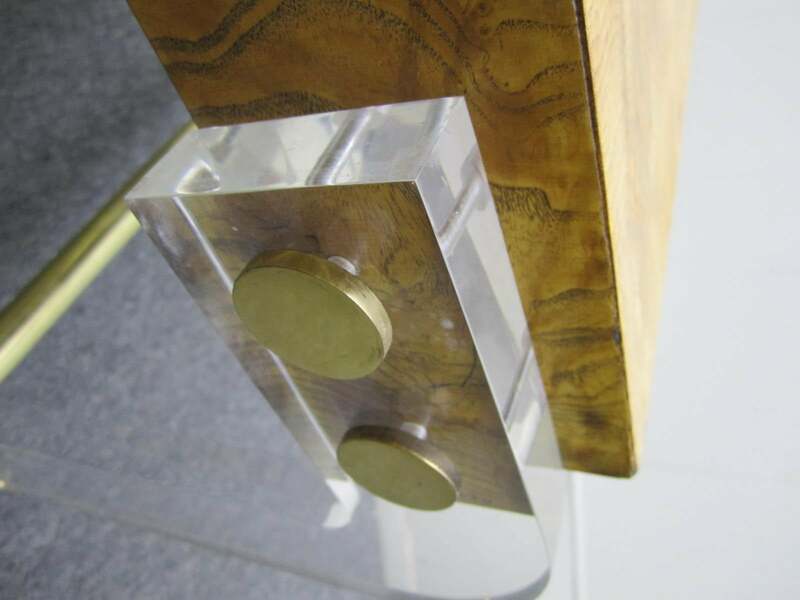 Brass details have light tarnish-looks great. 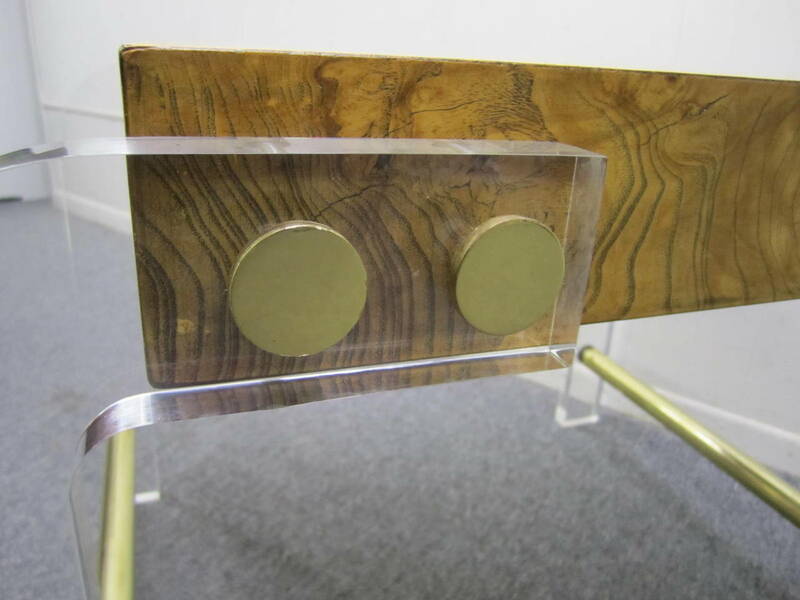 Terrific looking larger-scale chrome end table designed by Milo Baughman. This fine table is in wonderful vintage condition-just enough patina to give it authenticity. 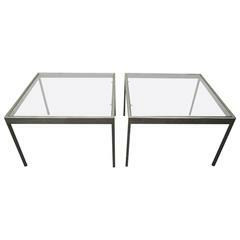 Handsome pair of chrome and glass Milo Baughman side end tables. Very simplistic heavy chrome frame with new glass. 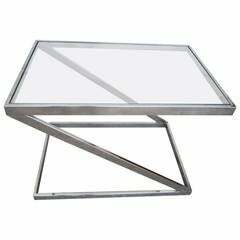 Lovely Milo Baughman brushed chrome X-base side table. 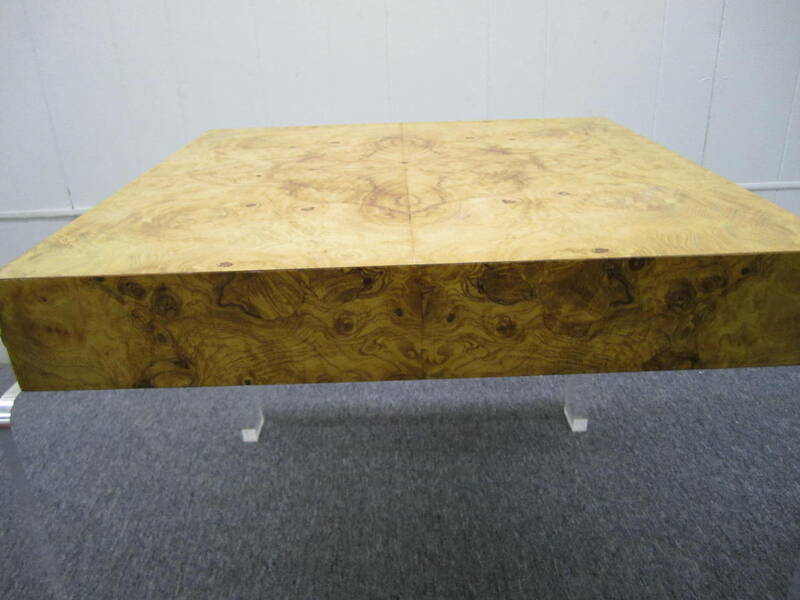 The top is a light teak and has a nice vintage honey patina. 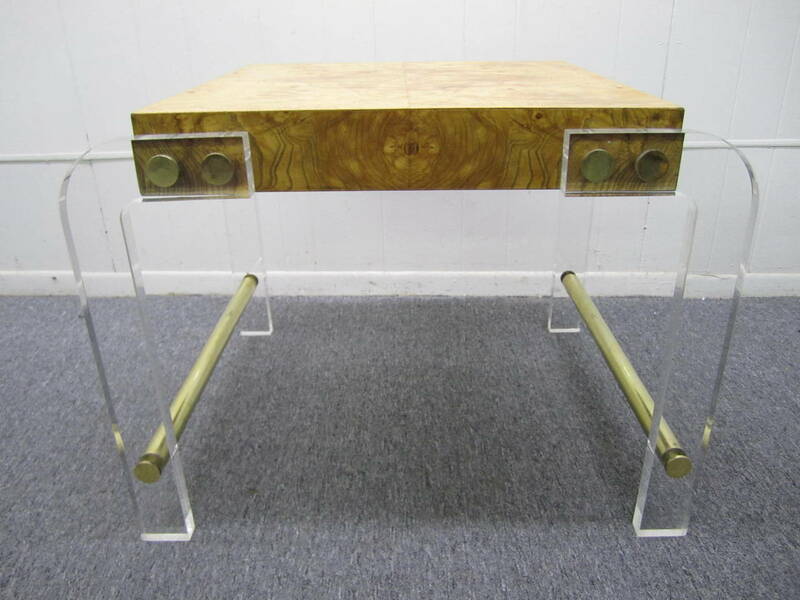 This piece was designed by Milo Baughman. 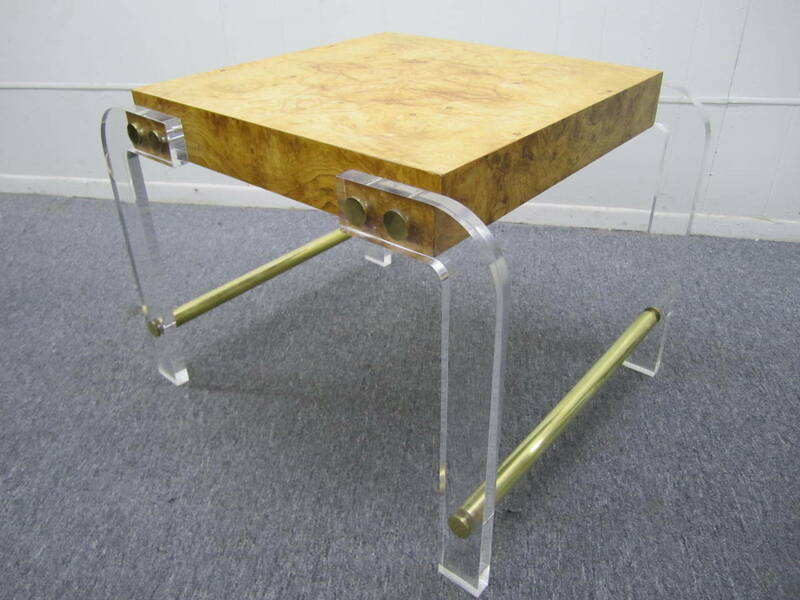 It features a glass-top and golden chrome base. The top is removable. Pair of Milo Baughman Mid-Century Modern walnut veneered square side tables, with X-form pedestal bases. Measure: Height 15 in, top 18 x 18 in. 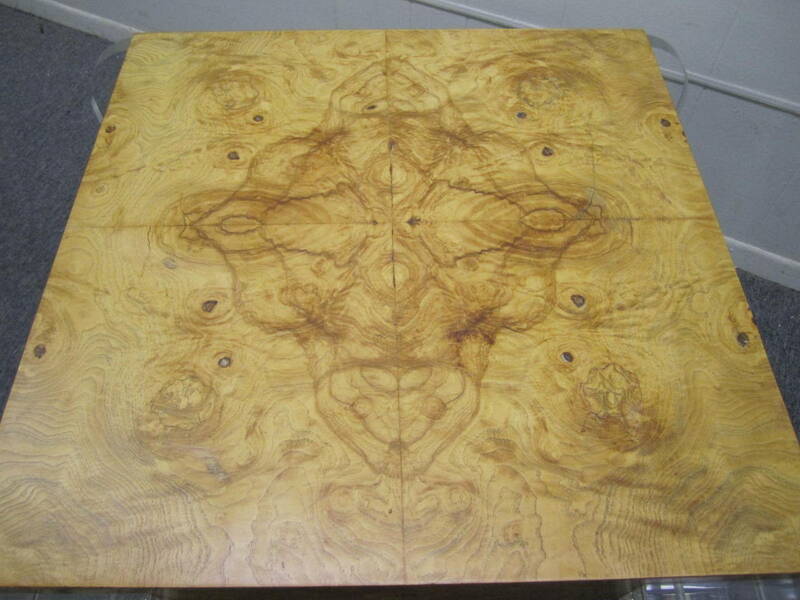 Milo Baughman burl wood end table or coffee table.